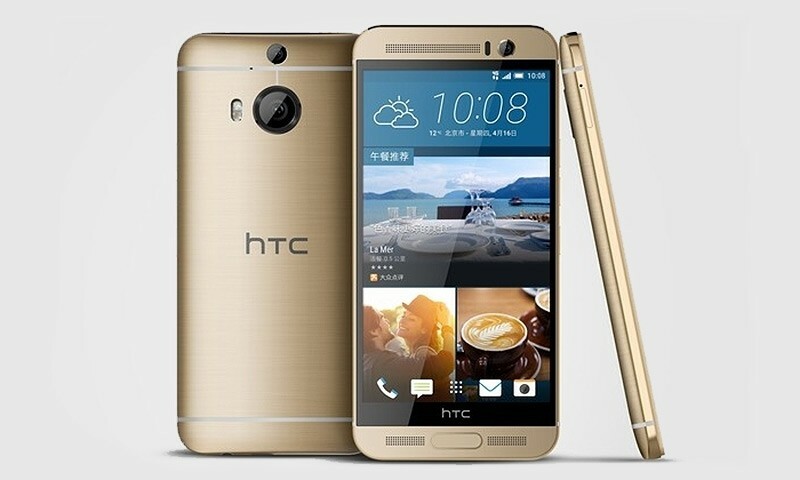 HTC has launched yet another high-end smartphone without much fanfare in Western markets, this time the One M9+, which is a slightly upgraded version of the all-metal One M9 that launched late last month. The One M9+ metal chassis is similar to the one found on the regular M9, except it's slightly larger to accommodate a bigger 5.2-inch Quad HD (2560 x 1440) display. To try and match its rivals on features, HTC has integrated a fingerprint scanner below the display in an interesting position between the BoomSound speaker grilles. On the rear, the 20 megapixel main camera has been left largely untouched, although this time it's paired with a secondary camera that brings back the Duo Camera effects of the One M8. The Ultrapixel selfie camera is exactly the same as the one seen on the M9. Internally, HTC has ditched the Qualcomm Snapdragon 810 in favor of a MediaTek MT6795T, which is a similar chip with four ARM Cortex-A57 cores clocked at 2.2 GHz alongside for Cortex-A53s at an unspecified clock speed, plus a PowerVR G6200 GPU. The One M9+ also comes with 3 GB of RAM and 32 GB of storage plus microSD card expansion. While the HTC One M9+ features a larger display with a higher resolution, the battery remains the same size as the regular One M9 at 2,840 mAh. The M9+ will also get a variant of HTC's latest Dot View cover designed to fit the slightly different metal body. There's no word on when the One M9+ will be available, or how much it will cost. At this stage it appears HTC isn't planning on releasing the One M9+ (or the previously-announced plastic-body One E9+) in Europe or North America, however HTC fans in Europe will at least be able to buy the new One M8s in coming weeks.